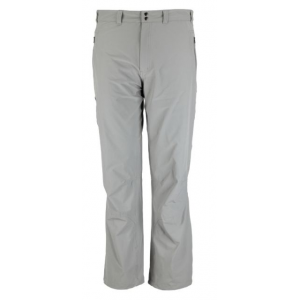 The REI Sahara pants are versatile pants wearable as shorts or long pants, depending on the situation. They are pretty much what one wants in terms of usability. Unfortunately the construction is sub-par and as a result these pants should be considered "disposable" after relatively little use. 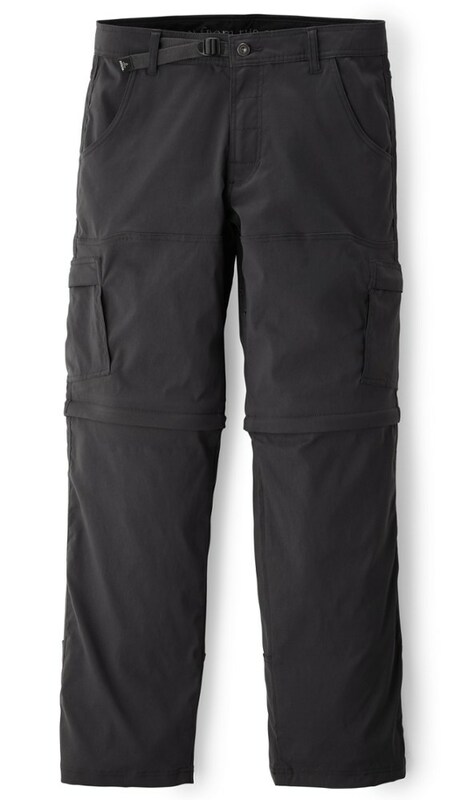 The REI Sahara Convertible Pants sold by REI are more or less exactly what the backcountry traveler needs. 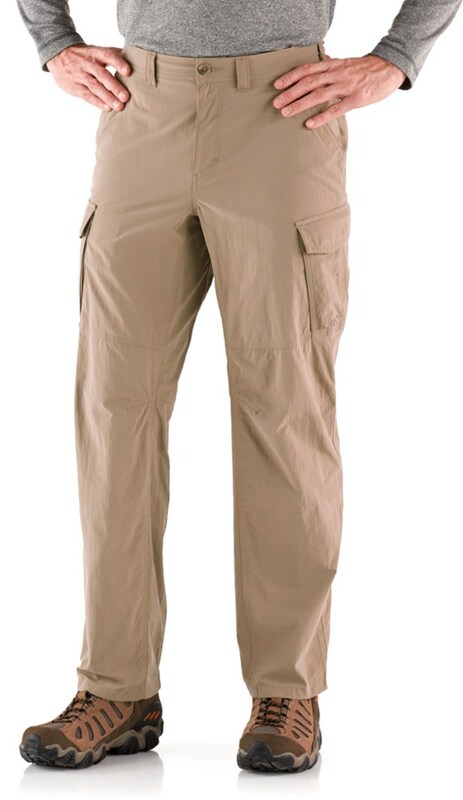 They are lightweight (4.1 oz for pant legs, 9.2 oz for shorts, total = 13.3 oz). The pant material is durable, and they dry quickly when they get wet. The bonus is they serve as either long pants or shorts depending on the situation. What's the downside? They (literally) fall apart at the seams. If it weren't for this flaw I'd rate these a "5". I would recommend these pants based on their functionality if REI resolves their vendors' manufacturing issues and offers a quality-built product. 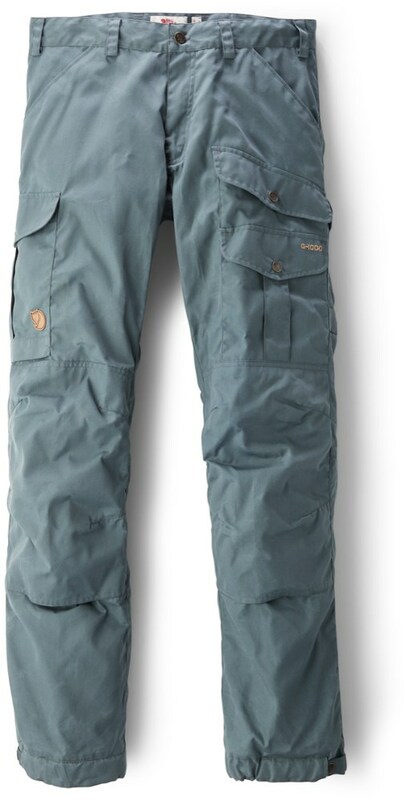 I should mention that I have given them a second chance ... based on the functionality and a special sale price .. so I have a second pair which so far has stood up to 6 nights of backcountry travel. If and when the replacement pair proves to be more durable than the first, I'll update this review with an amended score. Lightweight convertible pants, good range of sizes, held up well in my case. 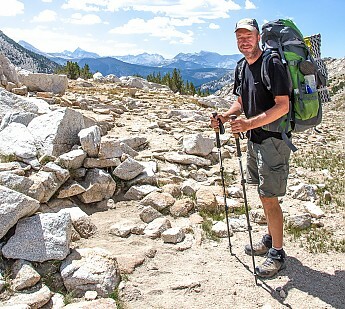 In contrast to Bill H.'s experience, these held up well for me over 25 days on the JMT, including various side trips on rough Sierra granite. I have the khaki colored ones and got them filthy a couple times over, but they washed out nicely, with only a few spots of pine pitch as lingering memories. The fabric is light and cool, better for California than Norwegian conditions. It dries quickly -- on a few hot days I lay down in a stream fully clothed to cool off, and the pants dried off faster than a cotton t-shirt. The fabric is so light that it hangs and flaps too loosely around the ankles, so I think a drawstring around the ankle might help with that, and could help keep out bugs. The zippers are small and take some fiddling to get started, but that is a tradeoff for light weight. Not good for cold fingers, but I wouldn't use these in cold weather. They come in S M L XL waist sizes but then in different lengths, so I was able to get a M (32-24) waist with a 34 length. My actual waist size is 31, so they are a little loose in the waist but there is some elastic to take up the slack and they come with a simple nylon belt. It's very hard for me to find outdoor clothing that fits even this well, so this is a +. I like having lots of pockets for maps, cell phone or camera, notebook, sometimes even a field guide to flowers or birds. There is a zippered pocket and a small key pocket for keeping high value items secure. These are all well thought out. I would definitely recommend these, especially for anyone who's has trouble getting a good fit in standard sizes. Work as designed. Lightweight and comfortable. I like how the zipper system works where you zip them off the pant leg, but also unzip them vertically so they are easy to remove with your boots on. I got these when I bought the REI Sahara shirt (reviewed here). 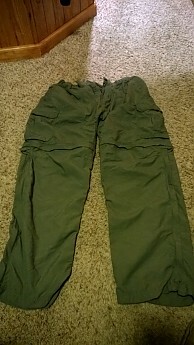 I have several other pairs of convertible pants but they are made of heavier cotton like materials. I wanted to test out these because they are lighter in weight and I wanted to see how durable they are. 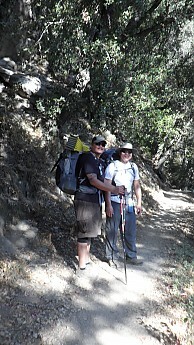 I've used them on two backpacking trips and at least a half dozen hikes and so far so good. The thing I'm probably most impressed with is the way the zipper system works. My other two pants just unzip around the thigh and for one pair, I have to remove my boots to get them off. The other pair takes some work but I can eventually slide them past my 11.5 boots. These REI pants have two zippers for removing the bottom portion. One to separate them from the pant leg and the other to unzip vertically thereby making the removed part become a square of material. Taking them off mid-hike is a breeze and putting them back on is the same. I do have one knock on these pants. 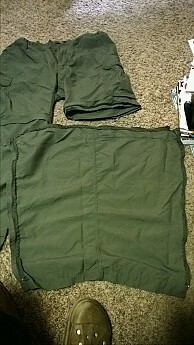 The regular side pockets should be deeper. When I'm driving in them, I've had items fall out so I'm hesitant to put anything important or valuable in those pockets when I'm out in the woods. 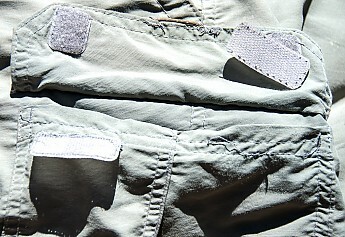 There are two cargo pockets (velcro) and even two smaller pockets (velcro) on the side of the cargo pockets. Additionally there are two back pockets, one zippered and the other velcro. The last pocket is a small zippered coin pocket. I've been happy with these pants so far. If their durability shows weakness during a second season of use, I'll post an update. These pants are great! Really high quality material. Really high quality material. Lightweight, but they do a great job keeping the wind and cold out. I own several pair of convertible pants. 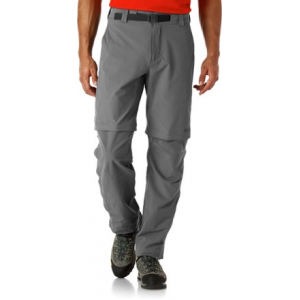 Great for hiking, the pants offer decent protection from vegetation that encroaches on the trail. They are baggy in an effort to reduce contact with skin and promote cooling. This provides enough flexibility for short scrambles and climbs, but the extra material can get in the way of sight lines during nervous descents. I purchased these pants in January this year from the clearance rack, as they were 2013 closeout. The fit around the waist is about as good as any pair of pants I own. I wear a 40 inch waist in jeans, and the XL size fits comfortably. The pants came with a small canvas belt, which is a bonus, because my belly tends to push my pants below my hipline. I am 6' 1", and the 32-inch inseam brings the cuff of the pants to the top of my hiking shoe. This is nice, because it keeps rocks and dirt out of my socks and shoes very well. 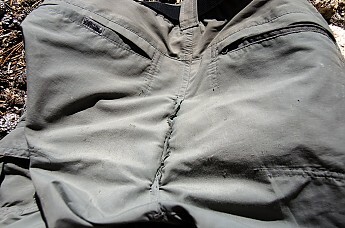 I have used this pair of pants almost every weekend since they were purchased, and they are holding up fairly well. Hiking in mostly desert conditions, these pants have done a great job of protecting my legs from the sun, while keeping me as cool as possible. The nylon material is also very good at keeping spines and thorns from scratching my legs to pieces as I brush past the local flora. The pair I bought was a light brown color, and until a few weeks ago showed no stains. I was hiking through the remnants of a forest fire and while scrambling over some downed trees, I picked up some soot stains that are still visible after multiple washes. Not a concern for me, as these pants were purchased for getting away from civilization, not hanging out at fashion shows. There is a small wear spot in the seat of the pants, probably because sometimes I sit down and slide when climbing down rocks and boulders. This spot is about 1/8" in diameter, and has not gotten any bigger, so apparently the ripstop nylon is doing its job. I am not sure if I would be pleased with the durability of these pants if I had paid full price, but since paid about half the MSRP, I'm willing to say it was a good value. Comfortable, light, dries fast, and it turns into shorts! When looking for a good pair of hiking pants, there are many options. I chose to purchase the REI Sahara Convertibles because of the discount I received and the construction, fit, and build. The fit is great in my opinion and it almost feels like you're not wearing anything since it felt so light. It was baggy enough for me and I didn't find any issues with when hiking in terrain that requires you to stretch or bend your legs when going over rocks, climbing over downed trees, etc. It's comfortable to wear even on long hikes, when wet, the fabric dries fast even when there is no breeze. On cold months, I would layer a pair of long johns underneath to give you extra warmth. On warm months, you can zip the bottom halfway or completely remove the bottom half cool your legs. It's a great option to turn your pants into shorts. One of two issues I have had so far with these pants are the zippers on the pockets. I had to break off the zipper on one of the cargo pockets because it refused to open. Second issue is with the belt system. When doing long miles, the belt can get loose and requires you to adjust and tighten them from time to time. 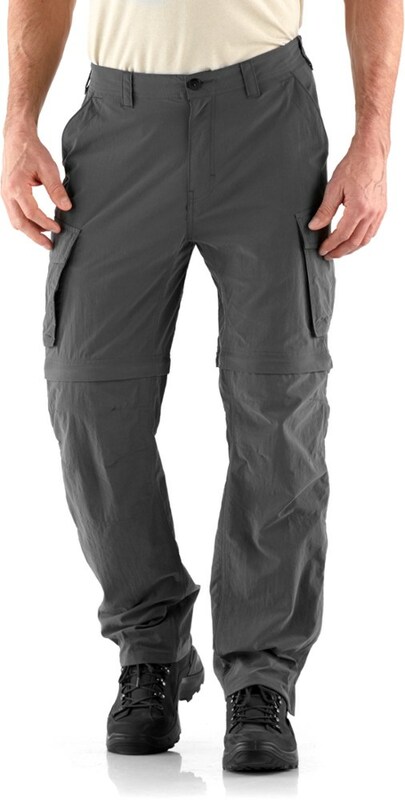 Overall, these are a great pair of hiking pants and the price is fairly competitive. I have purchased a few different brands of convertible hiking pants in the past. My favorite so far is this style from REI. They breath well and are very durable. I found them to be excellent at repelling water for a while and dry extremely fast. I now have three pairs of these convertible pants to keep in rotation. They are very comfortable and have held up very well. I enjoy wearing these for hiking especially but any outdoor activity really. They bead water fairly well but dry quickly once it has soaked through. I sweat a lot so it is important for me to find clothes that breath well. These breath well enough for me so I don't mind spending a few bucks on them. I find these to be just as good (for my purposes) as some of the name brand versions. I wore the REI Sahara on three different hikes in varying terrain. 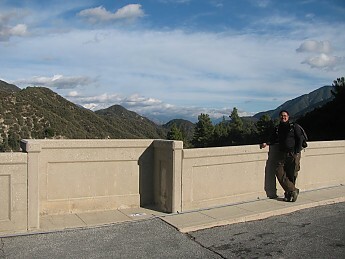 The first was a 10-mile hike where the morning starting temperature was 32 and warmed to 50. I wore a light baselayer underneath. Had plenty of freedom of movement and felt no restriction in the knee and thigh area. My perspiration was being wicked away as described. I never felt hot nor cold in them. But felt comfortable and this hike had 20 mph winds. My second hike was in the 20's and I wore a mid weight baselayer still plenty of movement and freedom and no restriction in the knee and thigh area. I felt of you went to a higher weight than mid you would need to order a size larger. Because you would feel restriction. My final hike was a light rain in the 30 degree tempature range. The REI Sahara's are 100% nylon and do get wet.They did dry quickly the longer I hiked or got to a shelter to Build a fire. My baselayer was a little damp but I was warm.